Welcome to our support center. Please do not hesitate to contact us if your concerns are not attended in this section. This is the ofﬁcial Mack by Padel Trainer Store. We made it ourselves so that we could cut out all the middle steps between us and you. Is it safe to put my credit card number into this website? We have designed this purchase system to assure as much safety for you and for our products as possible. We don ́t store any of your credit card information (which is handled by our payment processors) and we do promise we will never share your personal information with anyone else. One of our aims is to build a broad customer data base. In this regard, your e-mail unless you specify so, will become part of our very valued customer list, which we promise to feed with nourishing padel content, for you. My Mack purchase is a gift. Can you hide the receipt in the parcel? Indeed you can, just don ́t forget to make a note out of it before you check out your cart. Certainly. Special occasions deserve special treats. We will make sure your present makes “that” special statement. Do you accept Google Wallet, UPay or any other system that I like? No. 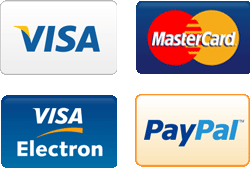 We accept major credit cards and PayPal. We won ́t accept BitCoins, CyberBeans or JuggaloCoin. Can my purchase be cancelled? No. Once placed and checked out cancelling is not possible for the time being. The only case in which a refund will be considered is when demonstrating visible and evident manufacturer´s default of the product within the valid warranty period. Will you make a refund of my purchase? default within the warranty period, no reposition of any purchase will be made. We do not contemplate refunds from purchases given the nature of the product we offer. 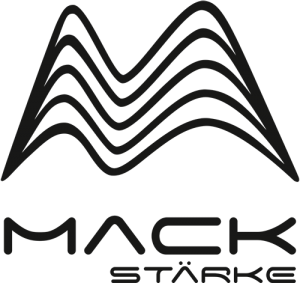 How can I buy Mack ́s for my club or padel school? Please send us an e-mail stating the estimated amount of Macks ́ you are considering and when do you need them. Special pricing and conditions for schools will be available within Europe (for the time being). How can I become Mack ́s representative in my country? We are delighted to have new team members abroad. Don ́t hesitate to contact us and tell us all the details about your position in the industry as well as your projections. We, like you are craving to grow. What does the Mack Warranty stands for? 1. There is a six (6) month warranty to every single Mack we make. We have designed Mack ́s to be tough and resistant, all in all good sportsmanship, nonetheless that does not mean they are made for abuse. a) The bat is safely stored away from direct sources of heat and sunlight. This would seriously damage the bat. b) The bat is not used against rough surfaces. This could fracture the enamel of the bat. c) The bat is not used to lift balls from the court or any surface ﬂoor what so ever, different from the padel court it is solely intended to play in. d) The bat is not used to hit wet balls. As these would weight more, the bat could be seriously damaged. Also make sure the bat is never immersed into water or used for any water activity. e) Any other forms of uses in which the bat is placed different from playing padel may hinder the optimum performance of the bat. Therefore we suggest you only use it while inside the court to your enjoyment of the game of padel. How can I claim my warranty? Claims are handled on a case by case basis. Therefore, please take as much snaps as you can to document the damage within the six(6) month period counted from the delivery date, and make sure you include them in the e-mail you should write to us stating how and in which situation did the damage occured. Once we assess the damage is a manufacturers ́ default we will proceed to substitute your Mack with a new one making sure you receive it as soon as possible. How long does it take you to process an order? Between one or two working calendar days, when fully stocked. As we are starting the distribution of Mack through Europe we are adjusting our stock ﬂux. We don ́t want to have to much bats around so we keep our production tight into demand. With your help and good words around we hope to have a little more stock, in due time. We have chosen MRW as our logistics carrier within Europe which services deliveries within 4 to 7 working days. As soon as we place an order ticket to our carrier, MRW issues its own tracking number which we will be available to you via e-mail. You can follow MRW parcels here and contact them here. Let ́s see…are you positive it´s been already 7 days…well then; ﬁrst: check your order conﬁrmation e-mail for the tracking number and try to locate your parcel. If that doesn ́t work send us an e-mail, tell us what you ordered, when and to which address, and we ́ll take it from there. Take a deep breath. Don ́t break or tug away the big brown box we sent the bat in (you will make good use of it, we promise). Send us an e-mail telling us what you ordered, your ticket number and we ́ll take ir form there. In case of damage we need proof, so please snap a few good and descriptive pics of it for us to look at . Damages are valued on a case by case basis,and our claim of damage during shipment will be made to our carrier MRW. For the moment, all return charges should be assumed by the purchaser: you. See, that ́s why we ask you to keep the big brown box somewhere handy, just in the weird and unlikely case you are part of the 0,01% of our clients who are not happy with Mack. Don ́t worry, we will ﬁgure out a solution for you to start enjoying your new Mack as soon as possible. Returns will only be considered when the product has not been used and keeps in place all original seals, sheaths, and wrappings. Send us an e-mail at stating the reasons why you want to do so. Remember Mack warranty is good six months after the carrier has delivered it and none of the demonstrable mishaps of padel have taken place. We are good at snifﬁng into those. I live outside the EU and I would like to have a Mack but I don ́t know how to get one? Send us an e-mail and we will tell you the fees for delivering it into your doorstep. A little extra, indeed, but a Mack is certainly worth it. How we settle our differences if the case arises? Sometimes things happen. Is part of on-line transactions. We will try our best to solve whatever situation comes our way in good sportsmanship. We believe the easiest way to solve a dispute is to jointly ﬁgure out what happen and solve it together. However in the case there is no agreement possible we entrust PayPal Dispute Resolution to help us arrive at a solution. If unresolved, the alternative dispute resolution for consumer disputes platform established by the European Parliament be the second instance to turn into for settlement. Okay, ﬁne. You can send us an e-mail. Please include your order number and any other relevant information. Prices and offers are subject to change. © 2018 Padel Trainer Europe Shop. All rights reserved.